Drinking water scarcity is an increasing problem in the most climates induced hazards-prone hard-to-reach coastal areas of Bangladesh as it is turning into brackish and saline water gradually- experts say. Climate change has exacerbated the further situation through sea level rise, frequently occurring natural disasters, shrimp farming and upstream withdrawal of freshwater. Availability of drinking water supply is mainly dependent on ponds and rainwater in the region. One of the most common methods of water supply is collecting the rainwater into pond and to purify it by pond sand filter. This water supply system is found scattered and often dysfunctional due to natural disasters, availability of suitable sources and lack of maintenance. Besides, distant (1-5 km) households from the supply sources are not afforded and transportation creates an additional burden. On the other hand, rainwater serves better quality (approximately for 3-4 months in a year) and number of NGOs has already put intervention through rainwater harvesting in this regard but hindered by seasonal variation, high installation cost and water storage quality for the long time. Mostly peoples are forced to ingest direct pond water without any treatment. It has been found that quite often the households depend on sources of water adjacent to their homestead and suffer from diseases derived from saline and pathogen containing water. Experts opine, “Pond water treatment and water sourcing pattern at the point of consumption with economic feasibility can be dependable along with community based systems to develop year-round water supply in the region”. A hope has arisen in a recent research, conducted by A. H. M. Enamul Kabir, on low-cost simple and small household level device was made using locally and commonly available materials i.e. BioSand Filter, to treat pond water in this context. The device can provide improved water quality, ensure affordability and availability at the point of consumption that strengthens the access to safe water. Figure 1: A low-cost ‘BioSand Filter’ under experimental condition in the laboratory. “Even such a solution seems to be attractive from an ecological point of view and resulted in improved public health outcome among individuals who are ingesting untreated pond water”- said Dr. Gopal Chandra Ghosh, corresponding author of the research article. Apart from that, this technology can be reached easily to poor, disadvantaged and climate vulnerable population. Besides, this device can save a quality of time that can be invested in economic development purposes. Access to safe drinking water is one of the basic human rights. At present, promotion of health and economy in the region through suitable water supply systems has become crucial for prospective development. 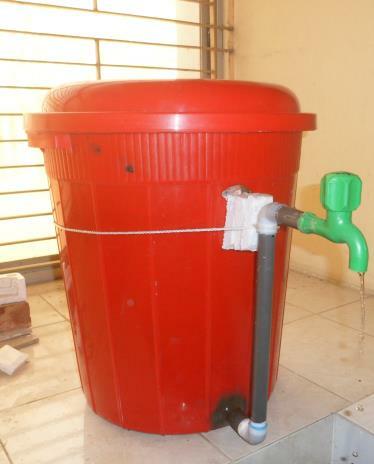 This simple low-cost ‘BioSand Filter’ seems to be suitable from climatic, socio-economic and applicability context. To conclude, the device has a greater potentiality to make a big deal in reducing the addressed safe drinking water scarcity caused public health risks and bringing out prospective development in the region. A. H. M. Enamul Kabir, Tapos Kumar Chakraborty and Gopal Chandra Ghosh. Department of Environmental Science and Technology, Jessore University of Science and Technology, Bangladesh. A paper about the study appeared recently in ‘American Journal of Environmental Protection.